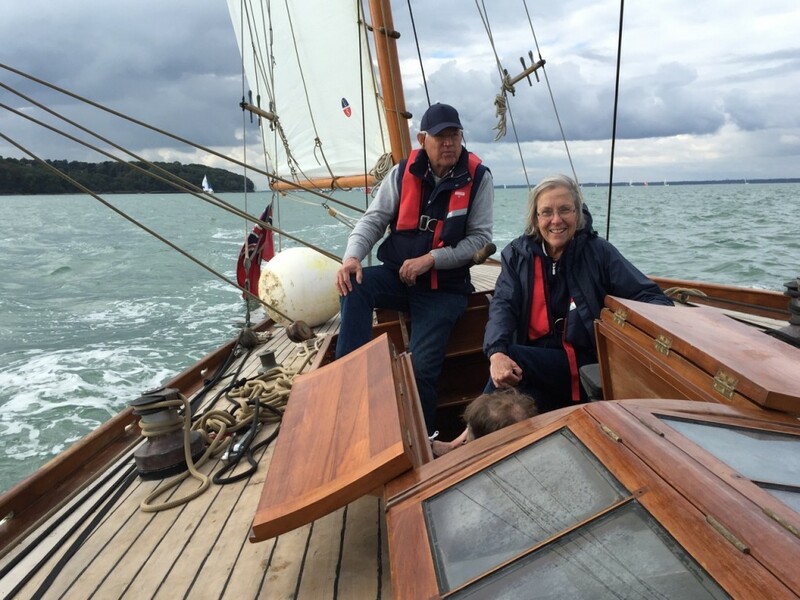 In return for a further donation to the Sexcentenary Fund, Past Master Mais and Jan spent the afternoon of Saturd ay 8 October sailing aboard Saunterer, out of the Beaulieu River, with the owner, Freeman Iain Rawlinson, and Cassie, a sailing friend of his. 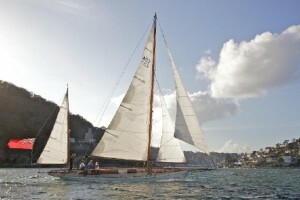 Saunterer is a wonderful classic yacht first launched in 1900 with only a handful of owners since. Although the number of sails has been reduced, we still sailed with four. Unlike modern boats of her size which have a wheel, Saunterer still relies on a tiller which, in a strong wind, can prove very heavy. She also now has safety rails. A great afternoon’s sailing in excellent company on a truly lovely yacht. 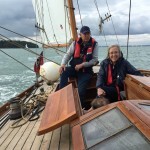 The headline photo shows Richard & Jan in the cockpit with Jan at the helm.